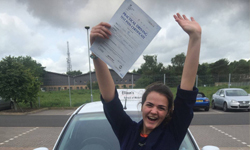 Learn to drive in an automatic - Learning to drive in an automatic car makes your driving so much easier and as we go hurtling into the 21st century more and more cars are on the road are automatic, and do you know why? Read on to find out why. 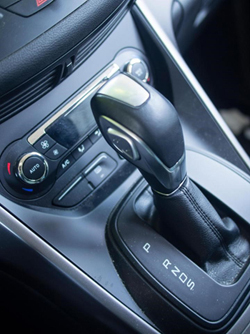 Nobody will be driving manual cars in as little as 10 years as motorists shun gearsticks for automatics. The era of changing gears manually is coming to an end as motorists are drawn to electric cars & hybrids with automatic gearboxes. In addition many manufacturers are switching their focus towards automatics and the sales of automatics is rising rapidly compared to their manual equivalents. High-end manufacturers such as Ferrari and Porsche have been phasing out the manual option for years, but now more mainstream manufacturers are ditching the stick because of reduced demand. Driverless cars won't feature manual gears either, meaning learners might never stall embarrassingly at the lights or have to battle with the dreaded hill start again. British buyers are already moving towards automatics for improved fuel economy, according to the latest industry data. Figures from the Society of Motor Manufacturers and Traders (SMMT) reveal demand for autos is outstripping the rest of the market by three times. Automatic cars enable smooth, efficient driving at low revs, therefore burning far less fuel and reducing emissions. Manuals often create bad driving habits such as over-revving, riding the clutch and using the wrong gear. These are things that cause wear-and-tear, as well as increase fuel consumption and emissions. So with such a rise in the sales and demand for Automatic cars, this is likely to see a huge increase in learners also ditching the gears and learning in an Automatic from the start. The advantage of this is they don’t have the stresses associated with learning in a manual car. No embarrassing stalls or struggling with hill starts. 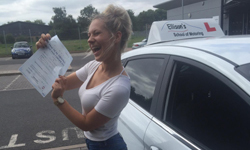 It removes the stress and makes learning to drive simpler, more enjoyable and quicker. 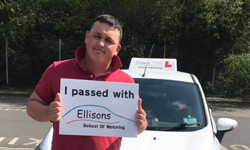 At Ellisons School of Motoring we are at the forefront of this change. 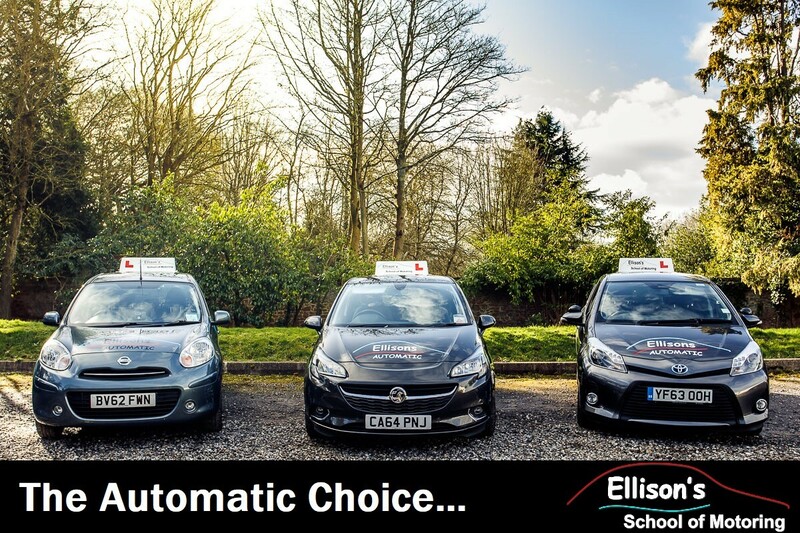 We have 3 specialist Automatic instructors. Amongst our instructing cars we have a modern hybrid Toyota (Automatic), that has the practicality of a motorised engine but with the addition of an electric engine that kicks in at lower speed making it a very efficient and comfortable car to drive. Manual cars were traditionally cheaper to buy and run but that is no longer the case so there is really no advantage anymore in sticking with the outdated concept of changing gears manually. Look to the future and take advantage of technology to make driving simpler and less stressful.